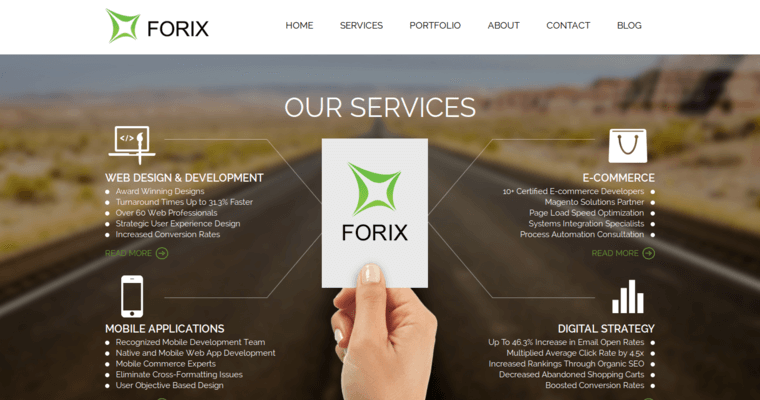 Forix Web Design is a progressive, positive, productive community of online marketers. By maintaining a precise, results-oriented approach to the world of internet advertising, the Forix Web Design professionals excel in helping clients maintain an exciting, entertaining online presence that gets the target market interested in the product or service line. 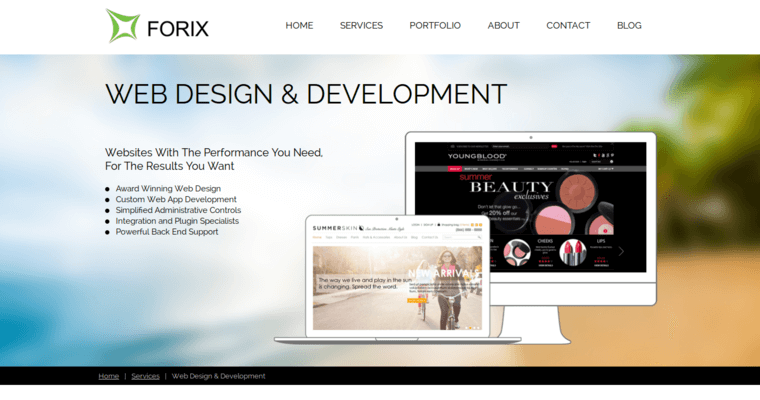 With respect to web optimization, the Forix Web Design representatives use responsive web design techniques to enhance cross compatibility. They also optimize sites for engagement, usability, and conversion. Some of the other dynamic marketing services provided by the Forix Web Design professionals include content strategy, search engine optimization, and pay per click marketing. 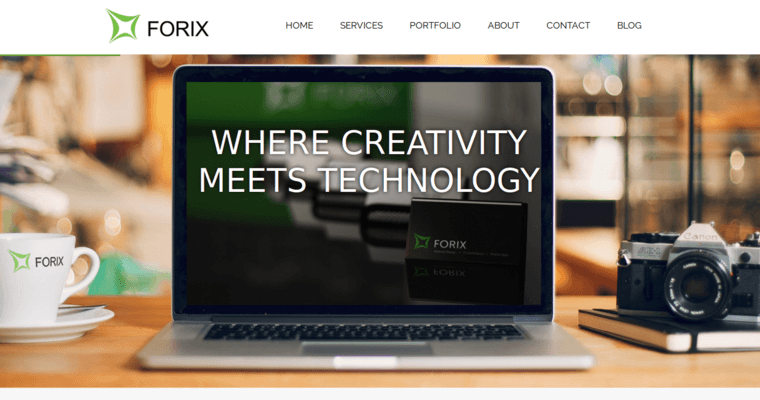 Finally, the Forix Web Design representatives offer excellent, expedient social media optimization (SMO) services to ensure that the client can interface with prospective customers via Twitter, Facebook, and other popular social channels!